Please contact us with any other more specific questions you have. Is Trainfest stroller and wheelchair friendly? Yes. We’ve intentionally designed our show with wide aisles to cater to such needs. There is elevator access to the second floor clinics as well. Does Trainfest rent wheelchairs, scooters, or strollers? No, Trainfest does not have wheelchairs, scooters, or strollers available for rent. Is there an area for people who are not vendors to sell railroad items? Trainfest does not have an area for personal selling. However, anyone with interest in such activities will undoubtedly be able to connect with others who are able to discuss swap meet opportuniites, etc. You can purchase discounted advanced admission tickets before the event online and at participating hobby shops. Tickets purchased online are delivered via Email. Tickets are also available at the door. More about prices and discounts can be found here. Yes! Your admission is good for the entire day. Visitors are welcome to leave and return the same day with a hand stamp. Do you offer a Military or Veterans discount? Yes, Trainfest offers reduced admission prices to active military and veterans. Tickets can be purchased at the door (not available online) when showing a Military ID, Veteran’s Administration ID Card, or a copy of one’s DD Form 214, 220, 256, 257, 363 or 2542. Please contact us to arrange group ticket sales. Parking is available for $6 in the main lot right outside the Expo Center. Street parking is also available in the surrounding neighborhood. Handicap parking is accessible upon request at the gate. Do any visitors or exhibitors dress in train conductor attire? You will certainly see your share of overalls and engineer hats. Feel free to wear yours as well! Does Trainfest offer programs for youth groups? Yes, Trainfest has a youth group volunteer program where groups receive free admission in exchange for volunteer hours. Click here to read more. I have asthma. Should I be concerned about large amounts of model train steam/smoke? We’re not doctors, but we can tell you that while the smoke is very realistic, it’s not considered harmful by the manufacturers. Is Trainfest only for collectors and model train enthusiasts? Not at all! Trainfest is an experience to be enjoyed by all. Whether you’re a family with kids or an avid model railroader looking for new ideas, Trainfest is for you. Are children allowed at Trainfest? Absolutely! Our doors are open to train fans of all ages on Saturday and Sunday. We warmly welcome families and offer ample room for strollers, activities for children, and exhibits viewable by all. Are the layouts easily visible to my kids? Most of our layouts are at a height viewable by kids. Some are even built to be low off the ground. But to be safe, we encourage you to bring a little step stool. Is there more than one building? No. All of the layouts and displays are set up under one roof in the Expo Center. Yes, a coat check is available for an additional fee in the vestibule of the Expo Center. How much time should we plan to spend at Trainfest? Most families allow at least four hours to visit, but are welcome to stay the entire day. Are there places to sit down and take a break from the action? Yes. Trainfest offers rest areas near the concessions stands, in the vestibule, along the main aisles and in front of the Celebrate-a-Railroad display. Yes, State Fair runs the food and beverage booths at Trainfest throughout the weekend. Some booths do serve nuts. Carry-ins are not allowed within the Expo Center. Families are welcome to visit the area restaurants serving a variety of items are within walking distance and return the same day with a hand stamp. Can I shop at Trainfest? Yes, there are plenty of vendors selling trains and train-related items. Many accept credit cards. Stop by the Trainfest office for special Trainfest commemorative items. What’s the difference between a “layout” and a “module”? Great question! A module is a specific railroad scene based on a real place or an original creation. A layout can be an assemblage of numerous different modules pieced together or one large cohesive composition. Why is Trainfest in Milwaukee? Model train hobbyists have a long history in Milwaukee. The National Model Railroading Association (NMRA) established itself in Milwaukee in 1935. 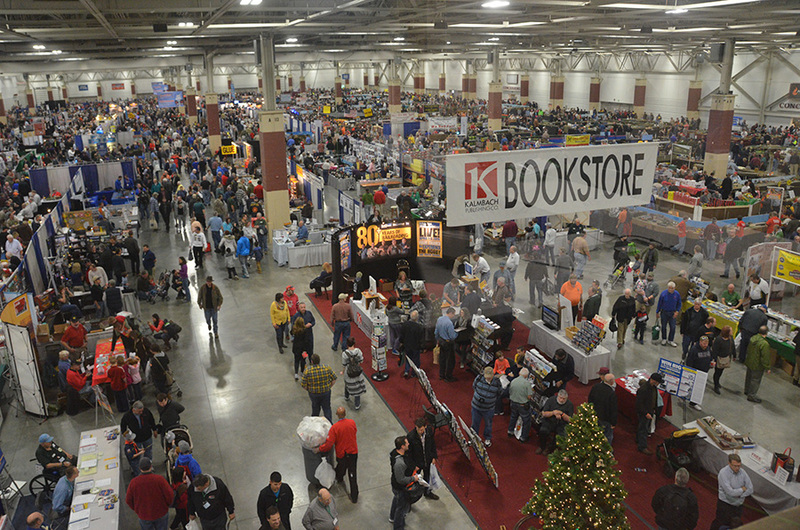 Over time, members of the Wisconsin Southeastern (WISE) division of the NMRA developed an annual single-day railroading show for all local model train hobbyists. In 1972, the first ever Trainfest was held on 6th Street in Downtown Milwaukee. This single-day event grew rapidly in participation and attendance, and has now developed into America’s Largest Operating Model Railroad Show. When will Trainfest take place in 2019? 2020? 2021? Trainfest take place on the second weekend in November each year. In 2019, Trainfest will be Nov. 9-10. In 2020 it will be Nov. 14 & 15; and in 2021 Trainfest will celebrate its 50th year on Nov. 13 & 14.